Composed and walking slowly, John Demjanjuk went to court Monday in a bitter fight against one of his biggest supporters. Jerome Brentar sued the family of the Seven Hills man for $2 million, seeking reimbursement for helping Demjanjuk's defense against allegations that he was a Nazi sentry. The family now questions Brentar's motives, saying they believe he tried to further his agenda as a Holocaust revisionist, or a person who believes the Nazi atrocities against Jews didn't happen. "Brentar's views are part of a larger anti-Semitic motive and movement," Boukis said in documents. Boukis wants to present a great deal of evidence linking Brentar to the revisionist movement, which Brentar's attorney, Boyd, has fought. Judge Timothy McGinty said he would rule later in the trial. Brentar has said he is not anti-Semitic. Former guard at extermination camp Sobibor, and also at Majdanek and Flossebuerg, Ivan Demjanyuk has long ago become the icon of the "revisionist" movement. I will write about denier arguments concerning his case later. For now - enjoy the hypocrisy. If D's family was so concerned about Holocaust deniers, why didn't they urge Jonny to tell the truth about Sobibor, Majdanek and Flossenbuerg, instead of denying that he ever was there? So many lies have been fronted about Demjanjuk that I'm straining to see his hypocrisy. It is obvious that "Holocaut denial" schtick is just a lil' game. I don't know all the details of the suit, but his family's comments are hypocritic - he denies the obvious fact of his being in these camps (even though he personally wrote "Sobibor" in his immigration documents). He is the denier. To bad this is not a federal case, I'd be interested to see the complaint. 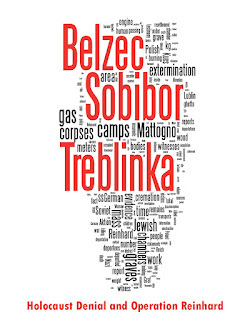 Well, unlike Dershowitz, who thinks that if Demjanjuk was really at Sobibor--which he has no doubts about, of course, just like Treblinka before that--I don't see an ipso facto case here. But in the Holoworld that we all know, ever having been in the SS is prima facie enough for Genocide. 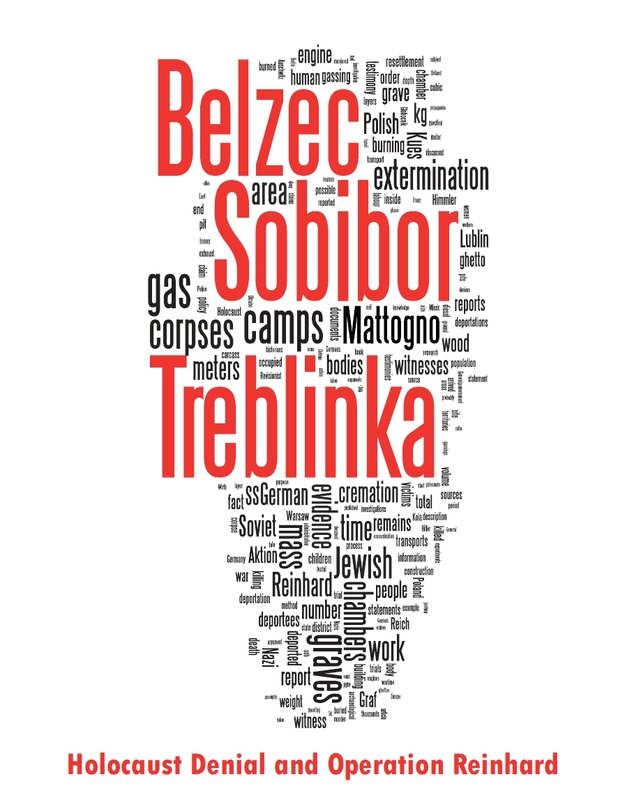 Unlike Treblinka, his service in other camps is proved by documentary evidence, including his own admission in immigration papers. It is true that simply being a guard did not necessarily amount to being a crime (and at this moment nobody D. is not tried for crimes), but given his later service at Majdanek and Flossenbuerg, and his denials it is likely that he was quite a loyal guard, and was likely involved in crimes. Given that he lied about not being guard, he can legally be deported, and from an ethical standpoint there's nothing wrong with that. I don't agree. We never deported Communists. And immigration was still asking visitors about this in the 1980s. But they'll never stop asking about Nazis until the Zionist lobby loses their pressure hold and American Christian Evangelicals lose their fascination with the Holy land and political influence. "I don't agree. We never deported Communists. And immigration was still asking visitors about this in the 1980s." I fail to see any analogy yet. Care to elaborate? Did they refuse to deport GULAG guards who lied about their past? Nazis and Communists are about the same as far as U.S. immigration is concerned, depending on what gang is in power at the time. They don't care if you ran a gulag or a concentration camp or served as a Party dogcatcher. Demjanjuk was deported because he had been in the SS and didn't check the box onthe immigration form. They didn't care that he had been a good U.S. Citizen for decades. They didn't care if the Treblinka ID card had been forged or not or if Demjanjuk dug anti-tank ditches or washed dishes for the SS. Born Again Christian James Earl Carter fulfilled Bible "prophecy" by working towards Middle East peace and using Human Rights rhetoric. To do this he got the country to go along with shelling out billions of dollars a year in foreign aid for Israel's neighbors to play nice. One of the political payoffs, was to officially generate messianic propaganda, so a corrupt government agency of traitors and Zionist agents was created called the OSI, brainchild of Congresswoman Elizabeth Holtzman and Neal Sher of the Justice Department. The OSI's job was to give legal imprimatur to Simon Wiesenthal Center atrocity-propaganda and find "Nazi Guards" to prosecute for War Crimes. So they started accusing elderly immigrants with Nazi backgrounds, especially those who fled Communist countries and who were therefore compromised on returning home, and thus had nowhere to go but Zionist justice. But the lies were a little too transparent and even perennial Presidential candidates like Pat Buchanan objected. Junior Bush is just like Jimmy Carter only more arrogant about his Faith, and his constituency likes it that way. Since his WMD and Hussein sponsors Al-Qaeda lies have been exposed he is falling back on the "but God still wants us to preserve and protect Israel" gambit. Not many Jews came forward with the truth even though they knew about the lies and the junk used for evidence by the accusers. Forensic psychologist Elizabeth Loftus is one example. But a few did and that is why Demjanjuk is alive today. If he had been executed then any desperate confession given would have been held before us today as Gospel Truth. Israelis may not be monolithic Zionists even if Diaspora Jews and Evangelical Christians usually are. The way to keep War Crimes Trials propaganda perpetual, when the perps are all dead or elderly is to start accusing dissenters in general of Hate Crimes, and skeptics of Thoughtcrime. And to really make this Orwellian, to claim they they are upholding intellectual pluralism and democratic values in the process. It is not hard to understand. > Nazis and Communists are about the same as far as U.S. immigration is concerned, depending on what gang is in power at the time. So you're saying that they do deport the Communists also. But earlier you said that they don't. > Demjanjuk was deported because he had been in the SS and didn't check the box onthe immigration form. They didn't care that he had been a good U.S. Citizen for decades. They didn't care if the Treblinka ID card had been forged or not or if Demjanjuk dug anti-tank ditches or washed dishes for the SS. No, they took into consideration his service in extermination camp(s). Also, the fact remains that nobody tried to make Demjanyuk confess.